How to convert PS to RTF in batches? 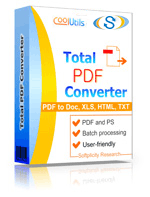 You are here: CoolUtils > Total PDF Converter > How to convert PS to RTF in batches? How to Convert PS to RTF in Batch? PS, also oftentimes referred to as Post Script, is a dynamically typed concatenative programming language mainly used by publishers, corporations, and government agencies. This format is widespread among professional users, but can hardly be processed by beginning or amateur users who do not have a lot of expensive software installed on their computers. The thing is, PS files can only be viewed with the help of Adobe software like Adobe Illustrator CS5, Adobe Acrobat X Pro, Adobe Photoshop CS5 and the like, all of which is priced at $450-700. If you are one of those beginning or amateur users, you might be interested in converting PS files into another format that can easily be opened with the help of basic applications. One of such formats is RTF. RTF is a common text file format that supports rich text. RTF files might text formatting, like bold type, italics, different font types and sizes, etc. The best part about RTF files is that they can be viewed with standard Windows applications like Microsoft WordPad and more sophisticated programs like Microsoft Word, Corel WordPerfect Office X5, Nuance OmniPage 18, etc. The greatest way to convert PS to RTF in batch is to use batch PS converter. 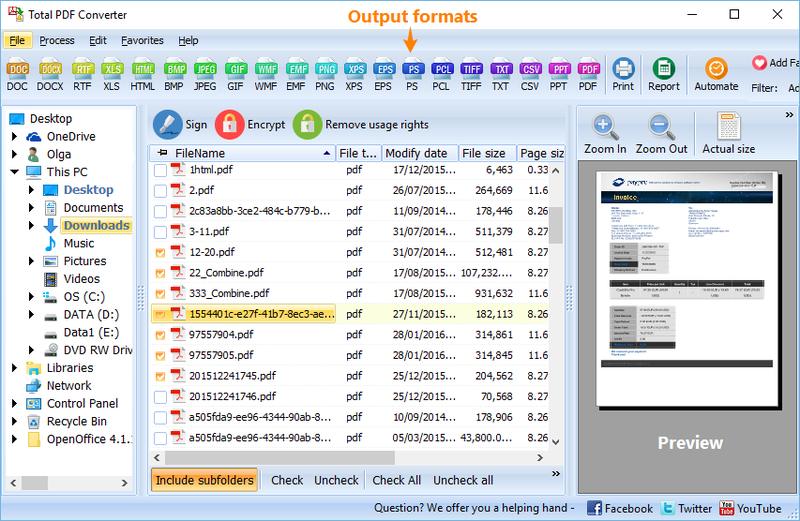 We strongly recommend you try Total PDF Converter if you are looking for great quality at a low price. Follow the instructions of the installation wizard and don’t forget to choose the language that best meets your needs. Simply double-click on the program’s icon or select it from the Start menu. 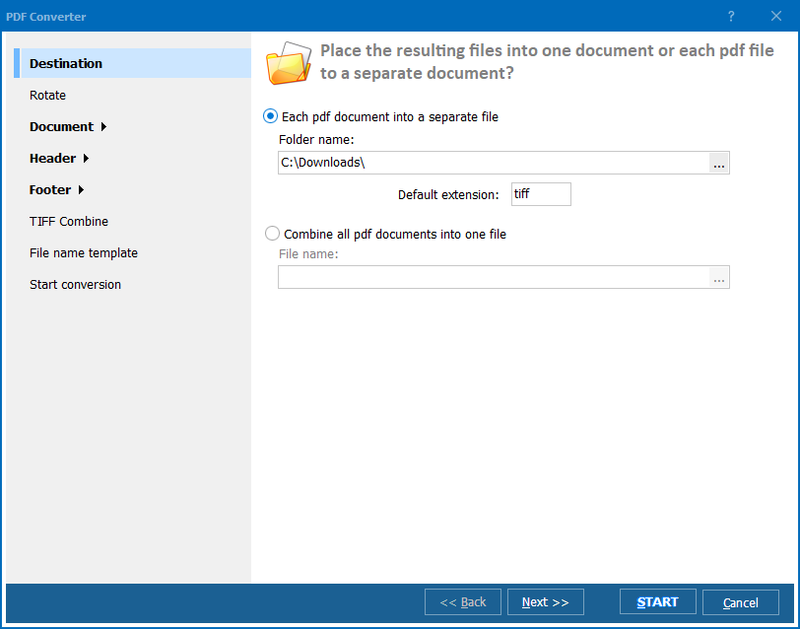 The list of files and folders available on your computer is generated automatically. Simply click on the button that says “RTF” - Click the “Start!” button and enjoy automatic conversion! 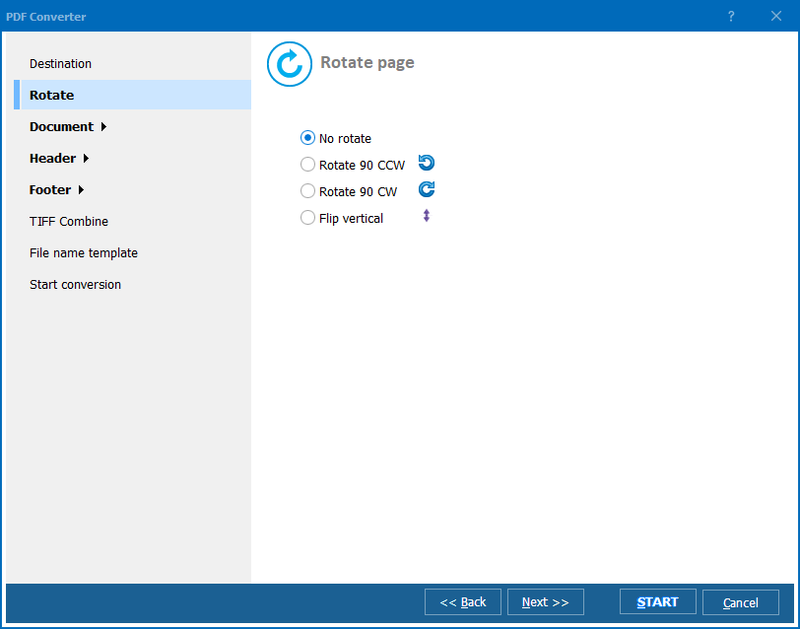 Convert EPS files to RTF in batches like a Pro!